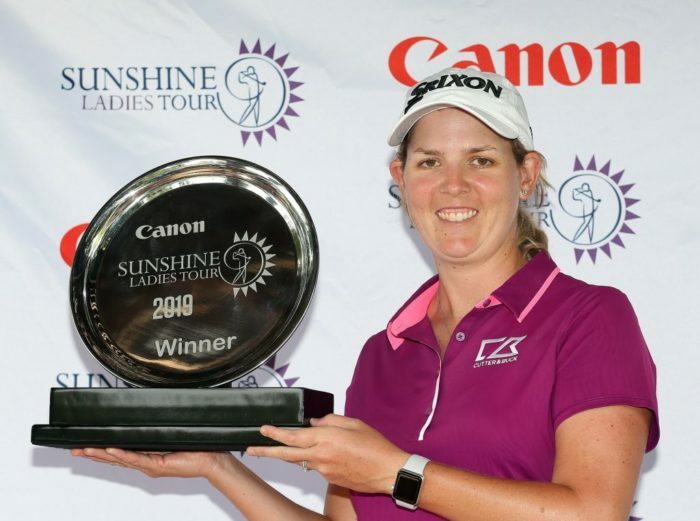 South Africa’s Ashleigh Buhai went wire-to-wire at Irene Country Club to complete a convincing four-shot victory on 8-under in the Canon Sunshine Ladies Tour Open at Irene Country Club. 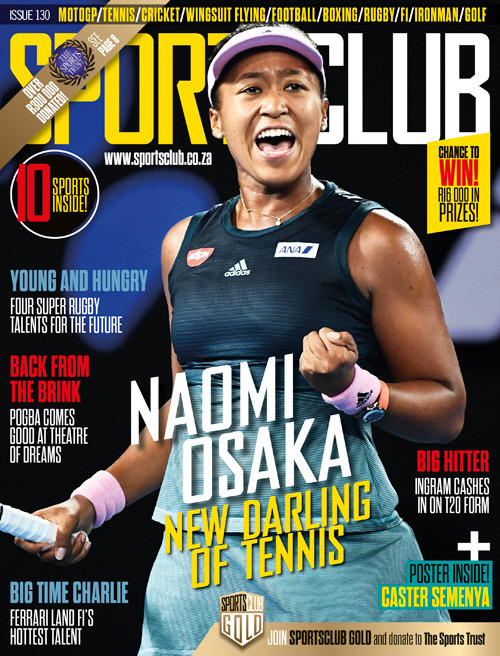 She could not match her opening two rounds of 67 and 68, but with a lone bogey over three rounds, the win was never in doubt and she pushed her winning tally on the local circuit to 10 with a final round 1-over 73. Defending champion Stacy Bregman soared up the leaderboard with a closing 4-under 68 to finish second on her own at 4-under. Yet another South African, Lejan Lewthwaite, also made strides with a third-round 68 to take third on 2-under. England’s Lauren Taylor was fourth on 1-under and former South African Women’s Open champion Thandi McCallum from South Africa completed the top-five on level par for the week. ‘I’m very happy to pull off the win this week in the first tournament of the year,’ said Buhai, whose only drop in the tournament was a soft bogey at the 52nd hole. ‘Today was quite scrappy, but that’s just what you have to do to try and win. Thank goodness there were no pictures on the scorecard. I learnt that I just had to stay patient and keep grinding. ‘The course played a little tougher. There were some low scores, but thank goodness I had that seven-shot lead starting the round. I knew I had that comfort zone. After nine, I knew I wasn’t going to hit it close, so I just started going for the big part of the greens, and taking my two-putts to make as many pars as I could coming in. Buhai leaves on Saturday to compete in two LPGA events and one LET event in Australia, and returns in March to take up her title defence in the R2-million South African Women’s Open at Westlake, which is co-sanctioned with the Ladies European Tour. Bregman, who won the 2018 Investec Property Fund Order of Merit last year, and former LPGA Tour winner Lee-Anne Pace, who withdrew after nine holes in the second round after the onset of a migraine, will also be making the trip down under. Eighteen-year-old Symone Henriques was second after an opening round 70. She slipped from contention with an 80 in the second round, but bounced back to overtake fellow GolfRSA Elite Squad player Kajal Mistry with a final round 74 to win the amateur honours on 8-over 224. The Sunshine Ladies Tour moves to Serengeti Estates next for the inaugural Serengeti Team Championship on 5 and 6 February. Teams of two will compete in the Betterball format for the lion’s share of the R100 000 prize fund.